Balmy summer nights call for footwear that is as special as the Lotus Sienna sandal. 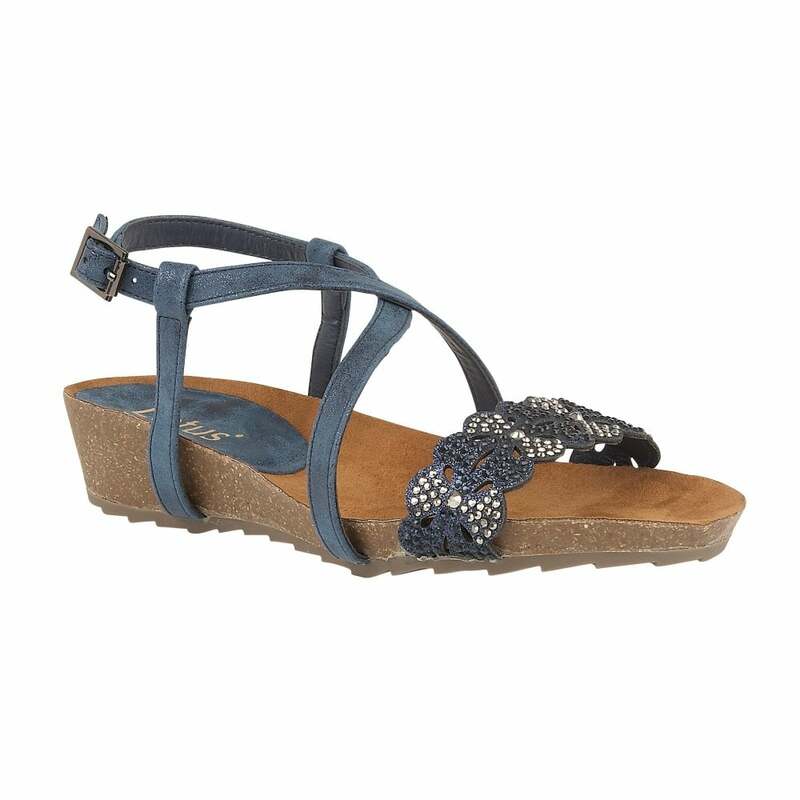 As well as featuring a toe strap that has a scalloped edge and is embellished with diamantes and punch work to resemble floral detailing, this is one stunning Lotus navy sandal. In addition, delicate straps, an adjustable sling-back, a slight 4.5cm wedge heel and a razor sole unit all amalgamate to make Sienna highly wearable.